If We Call It “Customer Support” – Why Does It Feel Like “Company Support”? “Thank you for calling” – Yeah right! You wish I wasn’t calling, but here I am. “Your call is important to us” – Ummm – I don’t think so. If a call is important, then you have a real person answering the phone. “Please listen to the menu options as they have recently changed” – You LIE – they haven’t changed in the last six months – you just want me to stay on the phone. “Your wait time is” – Oh goodie, now I get to see what else I can do while I wait for my turn in line. The good news is that you get to decide on the customer support experience that you create for the people who make your business possible – your customers. Today, I’m going to give you some strategies and tips for crafting a customer support strategy that makes each of your customers feel as special as they are. Let me ask you something. Do you look at companies like Zappos or Apple or maybe even a local business that everyone is wild about and wonder what makes them so beloved by their customers? What is it about them that creates such raving fans? To get to the bottom of this I’d like to introduce you to a friend of mine, Jeanne Bliss (@JeanneBliss). 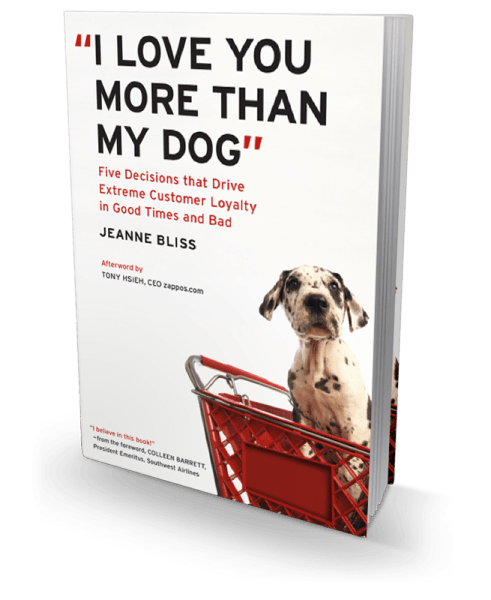 Jeanne is the author of one of my favourite books on customer experience, “I Love You More Than My Dog”, and most recently “Chief Customer Officer 2.0”. She used to be the Chief Customer Officer for Lands` End and has brought her unique commitment to “Improving Customers’ Lives” to hundreds of large and small businesses. Decide to believe: Beloved companies trust their employees and their customers. They suspend cynicism and create policies that assume honesty. Decide with clarity of purpose: Companies who decide to focus their operations on why they exist for the customer are rewarded with loyalty and love from their customers. Decide to be real: To what degree do you “get” your customers? Have you gone through the same process as they do in buying and servicing your products? Decide to be there: Beloved companies are “there” by giving their customers what they want. Decide to say sorry: At some point, things will go wrong. It’s how a company says “I’m sorry” that makes them beloved by their customers. Netflix decided that honesty was the best policy. In other words, beloved, successful and profitable companies put their attention on customer support – not company support. Customer support systems make it easy for customers to get their needs met. And when you consider these five decisions as part of your customer support philosophy, how you engage with customers online, by phone or by text becomes much easier to navigate. While customers may not always want to receive advertisements or offers via text, they are eager to receive customer support via SMS text. And yet, only 7% of consumers use text to communicate with businesses. This is shockingly low when you consider the opportunities that consumers are missing out on for being kept in the loop about the products or services they buy. Just about anything that you can do by phone, you can do by text, and it’s actually a better experience for the customer. SMS support is a direct communication and doesn’t feel like you’re just some number waiting in a line. Update on product or service delivery. Any company that is in the business of delivering products or sending service people into the field can benefit from text updates to customers. No more having to take a full day off to receive a delivery! Confirm and send reminders. Professionals who count on clients showing up for appointments can use a simple text reminder to make sure appointments aren’t missed and that clients bring anything that they may need for their appointments. Book appointments. My hair stylist sets most of her appointments via text! If she has a cancellation, she’ll send a quick text to her clients notifying them that she has openings. Answer questions. This is one of my favorite applications of text support, especially when customers are trying to make a purchase decision. Post a number that customers can text their questions to and then be sure to provide an answer in response. Customers who get their questions answered quickly, buy quickly. If you’ve been wondering where to start your text messaging program, customer service and support would be an excellent place to start. 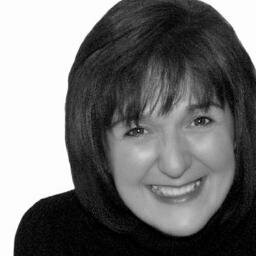 Ivana Taylor is a Small Business Marketing Influencer and publisher of DIYMarketers.com. She simplifies marketing with the best tools, tips and strategies for small business owners.